portraits of buildings, streets, or venues. house warming presents, or as a personal treat for your own home. For commercial projects, our products can be customised with any illustration. 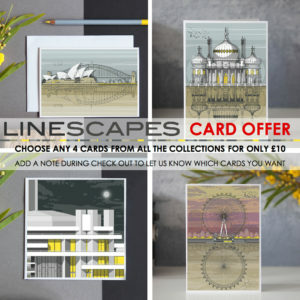 For details email me at contact@linescapes.co.uk with a brief outline of your project.